The new baseplate is really nice, but is it compatible with anything else, so you can quickly go on a tripod? The other changes are welcome too, but no reason to jump from the older version, you can always add bigger batteries. This one I do not know. Now we'll ship new version, as far as our partner tells. I wish I had have been thinking about this last week for NAB, oh well. I have never owned or used any stabilizer, therefore nothing to compare with. Overall it exceeds my expectation. It is extremely easy to balance, easy & intuitive to use, and the end results are excellent stabilization and smooth video. The hardware is well designed with weight-saving features (hollowed out metal parts), made of high-quality aluminum alloy, and surface finish is immaculate. These result in a light-weight unit that is a pleasure to use. Have not tried heavier camera or lens, but it is more than adequate capacity-wise for the GH4 w/ the Olympus 14-40 zoom lens. Once it is balanced at the midrange zoom, it works well for the entire zoom range. For the LX-100, it is a perfect match. Everything including zooming can be done remotely without upsetting balance at all. Balancing for each of the cameras is a piece of cake, taking me just a couple of minutes, very easy to do. A minor thing for future improvement: Assembling and using the unit is so intuitive that I almost did not need to read the user manual. However, I had to read the manual to see which end of the batteries are inserted first. There is no marking on the unit at all, and the info is buried well in the user manual it took me 20 minutes to find out. A simple marking on the handle (where the batteries are inserted) would be vastly helpful. By the way, I read Chinese (my natively language), and have two electrical engineering degrees. A mode indicator on the handle would also be helpful, when one is using the unit alone without the (free) smart phone/tablet app. Overall, both the unit and the buy experience are very positive! Shot some test with Zhiyun crane and Xiaomi yi 4k - could be better, but I´m positively surprised at how easily you can get good shots. @RRRilla even with my GH5 and the new Zhiyun firmware I have to add weight when I use lite lenses. 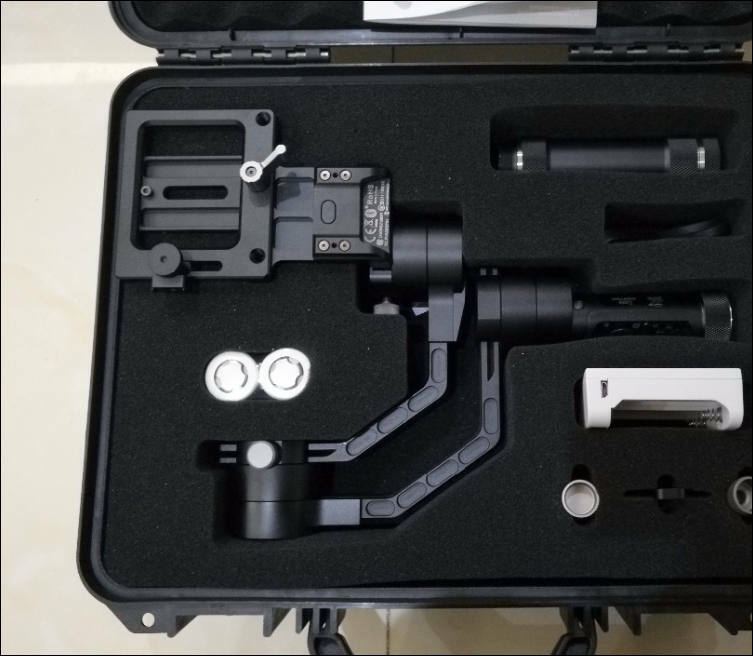 I actually have a Manfrotto 394 quick release, which is quite large, works well for swapping from gimbal to tripod or rig. Also adds weight to the system. Anyone try something like A7rii + Zeiss 35/1.4? It totals to around 3.5lbs which is getting really close to the maximum payload of the v2. I'm just thinking that being so close to max payload, performance will not be as good so I should look at a different gimbal system then? 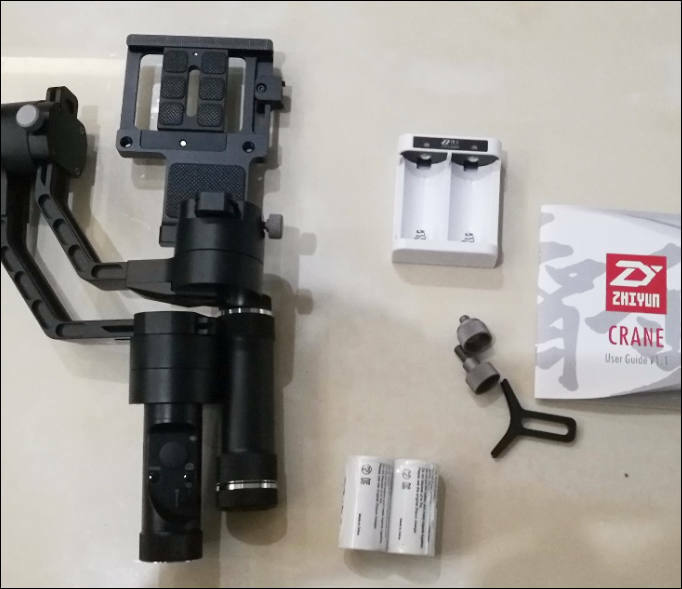 Today, I sent a mail to Zhiyun asking the differences in V3.. If they replied (they did quickly before), I'll let you know. It is strange that I have never seen a link or a video mentioning V3.. I feared it was a fake :) but it works flawlessly. as you at the North Carolina Road Trip video even with the Zhiyun Crane you have to avoid fast panning and fast motion. The a6300's rolling shutter is horrible. @melihdummy IIRC the motors are 10-15% more powerful based on V2 firmware, which is able to be flashed to V1 Crane as well. I have flashed my V1 Crane with V2 firmware and it is noticeably more powerful. With the USB cable, the crane can in theory remote zoom. Could someone be kind enough to state which zoom lenses work with G7 for remote zoom? B&H sent me an email saying the rebate is going away today 9/30. It is also sold by Best Buy and with there credit card you can get 12 months no interest which maybe of interest to US people. If your in the Tampa Bay area the Citrus Park Best Buy has them on display and as of yesterday in stock. I have a question for any owners out there. I bought the crane previously owned a Beholder. I like it a lot but have one question about operation. When I rotate either using the follow mode or the joystick the camera will bank into the rotation and than slowly level out after I stop. I don't remember my Beholder acting like this. I tried changing setting in the android app but nothing seems to change it. Anyone have a setting to have it stay more level or is this just how it is. Is there a setting at least to get it to level out faster? Solved my problem the Crane needed calibration and is now working as it should.